The towns and villages listed below are known places where the family lived and worked, and if you have any information about any Woodwards from any of these places, please let me know. 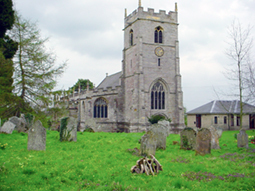 Alcester is a small market town in south west Warwickshire, England with a population of around 9000. 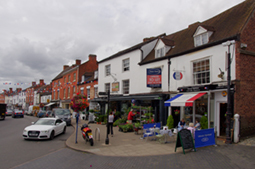 Nearby towns include Stratford-upon-Avon to the East, Worcester to the West and Redditch to the North. The original settlement dates back to Roman times and the high street is reminiscent of the Tudor era with its half timbered cottages dotted along the length of the main street. Inkberrow in Worcestershire is where one generation of the family lived for many years, and several Woodward families populated the Ridgeway (the road running along the boundary between Warwickshire and Worcestershire) during the late 1700s and early 1800s. Other related families, such as the Laights, Macalands, Joines, Dolphins and Phipps, originated from Inkberrow, and any history you may have of these families could help fill gaps in the Woodward research. 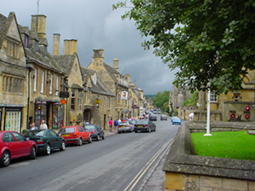 Chipping Campden, Gloucestershire, is one of the most beautiful towns in the Cotswolds. The huge 'Wool' church in particular is spectacular. Wilmcote is a beautiful village near Stratford on Avon and is where Shakespeare's mother, Mary Arden, lived. 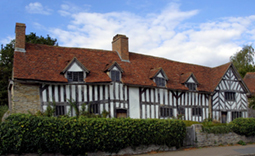 The Shakespeare trust bought Mary Arden's house in the 1930s and it is a major visitor centre. The village stands beside the picturesque Stratford Canal and for many years was a working village. Its main commodity was limestone from the local quarry, and at its peak the quarry produced over 16,000 tons of limestone a year, transported to market by canal. Stone from the quarry was used for the floor in the newly rebuilt House of Lords. Several members of the extended family worked at the quarry and when it closed at the end of the 19th century, many members moved to Smethwick, Oldbury and Handsworth in Birmingham where they took up Coopering (barrel making). Other related families in Wilmcote are named Climer, Neal and Stephens. If you have any more information on Woodwards or these other families, please let me know. 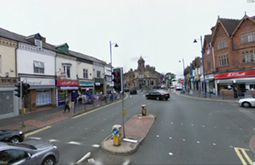 Smethwick has been in three counties, Staffordshire, Warwickshire and Worcestershire, and is now in the County Borough of Warley. In the 19th and 20th centuries it was a hive of industry where people flocked to from the surrounding villages as the availability of agricultural work declined. My great grandfather (Arthur Woodward) came to Smethwick in late 1886 to work as a cooper in a local brewery in nearby Oldbury, and my grandfather was born in the town in 1887. Many of the family members settled permanently in Smethwick. Arthur moved to Bass's brewery in Burton on Trent in 1891, at that time the largest brewery in the world. Burton on Trent is a town in Staffordshire, England, whose wealth until recently was based almost entirely on beer and the brewing industry. 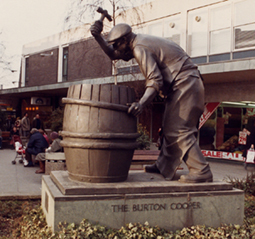 Burton was renowned as the town with more public houses per head of population than any other town in England, and at one time was the home of over 40 breweries. The biggest and perhaps most famous of all was Bass's, which incorporated Worthingtons and Ratcliffs. The family moved to Burton in 1891, and over the next 60 years at least 10 members of the family worked at Bass's brewery in various jobs such as coopers, general labourers, clerical staff and managers. If you are related to any Woodwards that worked at Bass's during this period, please contact me.